Tip:Hair color images are presented to give you a visual representation of color options for each item. However it must be noted that on screen representations do not necessarily precisely represent actual colors due to variable monitor calibrations. Additionally, the computer or device you use and the light in the real environment may have an impact on how colors appear. Q: What is the difference between human hair and synthetic hair? A: A human hair wig is longer lasting, soft and feels natural to the touch. It can be styled and dyed just like your own hair and "breathes" so your scalp won't perspire as much underneath. But human hair wigs need to be styled after every wash, and are more expensive because of its limited supply. 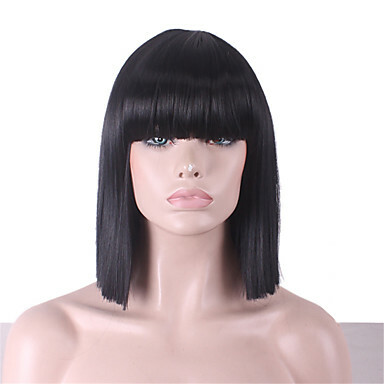 A synthetic hair wig is easy to care for without requiring styling after washing, and is less expensive than human hair. However, it cannot take high temperatures, meaning it cannot be styled with an iron, and has a shorter lifespan if you wear it every day. Q: What are the different types of wig caps? 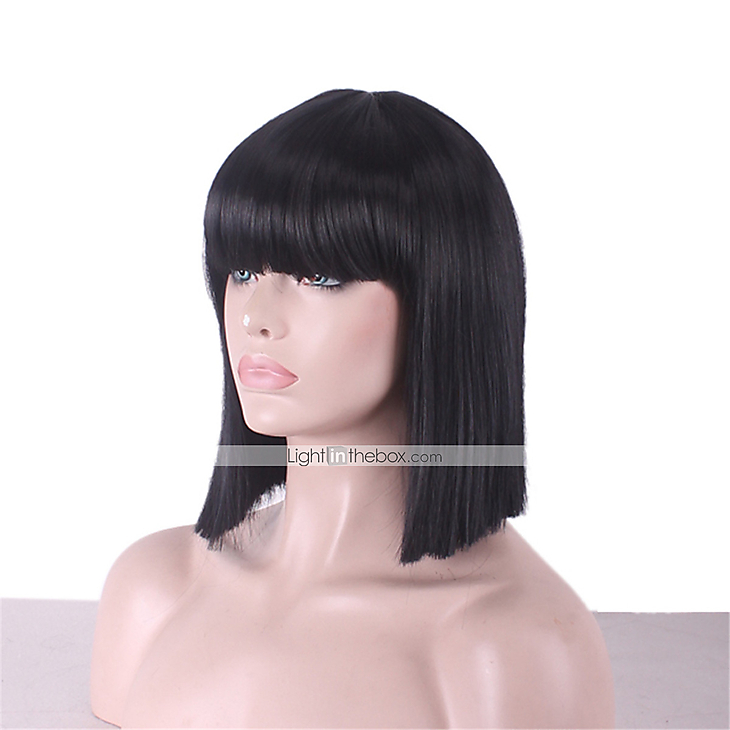 A: Capless is one of the most common types of wigs. The base of any wig is referred to as a cap. The hair is attached to the wig cap using a variety of techniques to achieve different looks. On most wigs, hair is attached in "wefts." These are strips of hair doubled over and sewn closely together in long strands. Monofilament caps use a gauze-like, nearly transparent material that each hair section is hand-knotted onto. This kind of wig can be styled more easily and can ventilate your scalp to avoid heat and moisture buildup. The thin cap material is difficult to detect and therefore very natural-looking. Monofilament wigs are specially designed for those with thinner hair or sensitive skin. 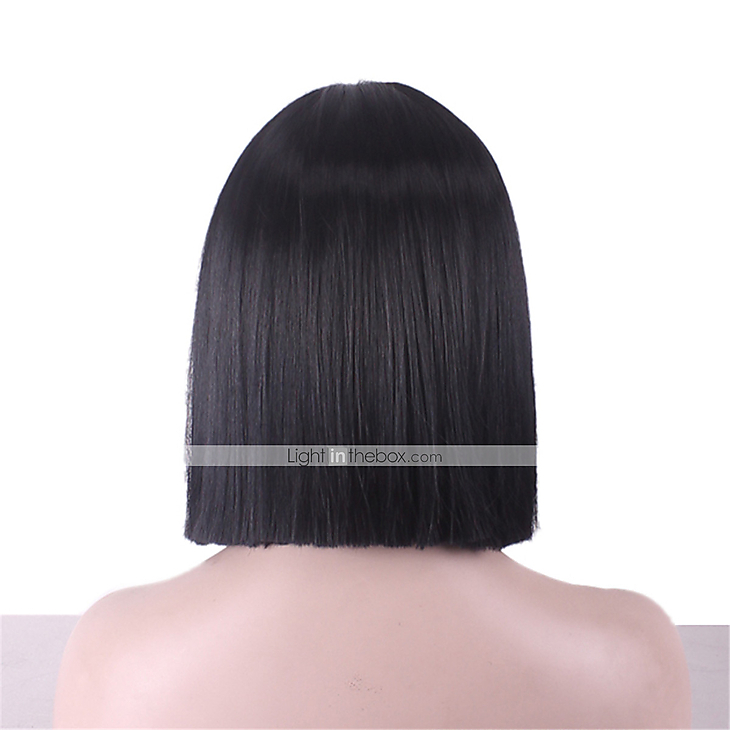 Lace wigs use a piece of mesh lace just beyond the front hairline of the wig, which each hair section is attached to. 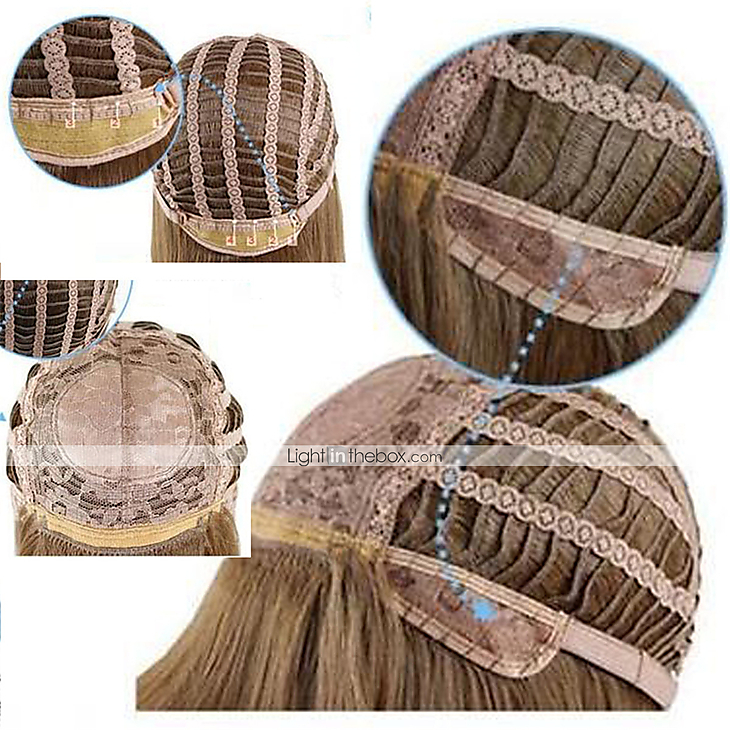 These can be temporarily glued to the skin around the hairline to make the lace cap nearly invisible. Mesh lace allows for natural-looking partings in the hair, as well as weeks of wear at a time, even during swimming or sports. All lace wigs need periodic maintenance and can last for six months or longer. Full lace wigs have lace material all around and can be parted anywhere on the scalp for greater breathability and comfort. 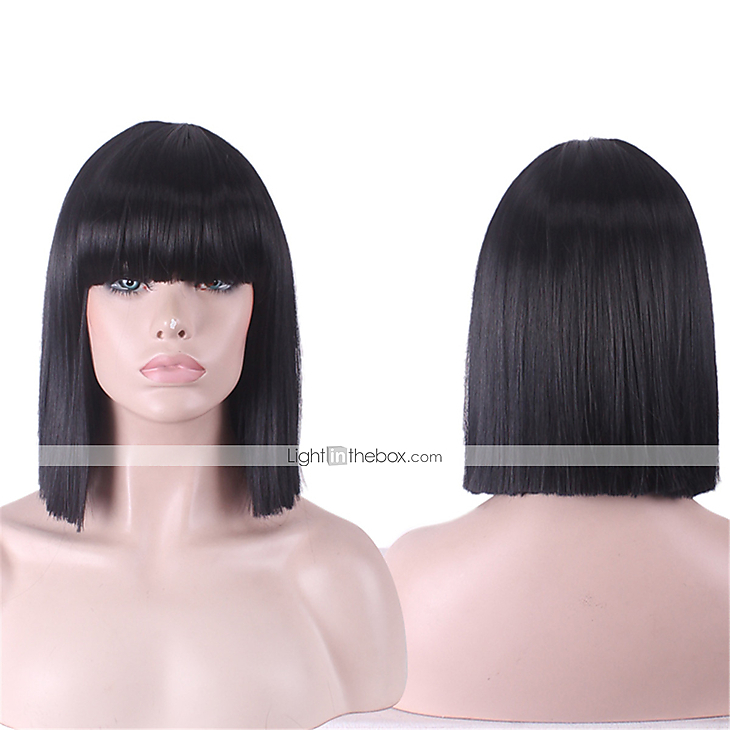 Front lace wigs have lace material at the forehead only and are more natural and undetectable. Unfortunately, these wigs cannot be pulled back into a ponytail. Q: How do I put on a wig? A: After removing your wig from the box, take off the protective hairnet (if the style has one) and give it a good shake. If it is a ready-to-wear synthetic hair, you are ready to go! If it requires customization (such as trimming a lace front), we recommend you consult a hair stylist. Check out our salon locator to find local salons familiar with wearable hair. Q: How should I care for a wig? A: When not in use, store your wig on a mannequin or wig stand to maintain its shape and wash only when necessary (roughly once every 10-14 days of wear but more often if your lifestyle or environment calls for it). Q: Are color swatches 100% accurate? Q: Can I use low heat to style my wig? A: Wigs made with human hair can be colored or styled as you would your own hair. Synthetic wigs can’t be colored, heat styling of any kind could be damaging to the fibers. Q: How long can I expect this wig to last, and can I wear it to swim or play sports? A: Typically, hair wigs can last up to a year or longer. Lace wigs should last up to three to six months, depending on how often they are worn and how they are cared for. We do not recommend touching water. It can put too much stress on the hair and create unmanageable tangles. Also, pool chemicals and salt can damage the hair and affect color. Q: How do I adjust the wigs to fit my head? A: The adjustable elastic band inside the wig can help you get a secure, comfortable and close fit.